Click on the image below for a large, high-resolution image, suitable for high-quality printing. 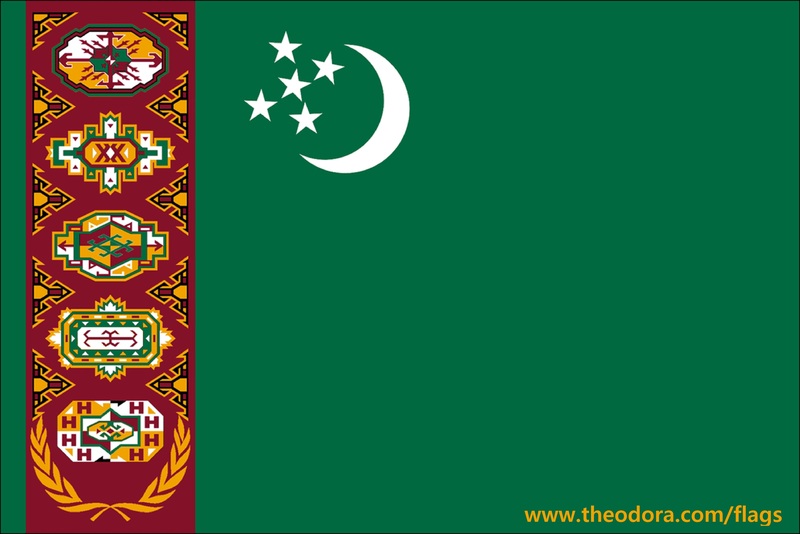 This flag of Turkmenistan is intended for representational purposes and no claim to technical accuracy is made. Click on the link above to read the terms for use of this Turkmen flag on your web page. NOTE: The information regarding Turkmenistan on this page is re-published from the government of Turkmenistan and the Library of Congress country studies. No claims are made regarding the accuracy of Turkmenistan information contained here. All suggestions for corrections of any errors about Turkmenistan should be addressed to the government of Turkmenistan.